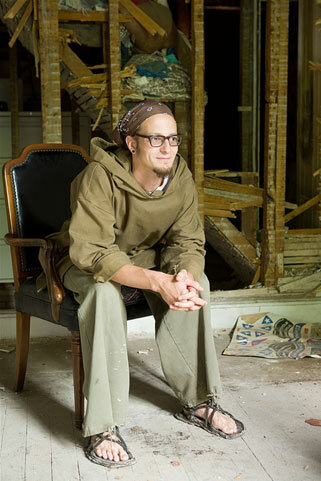 Shane Claiborne, a leading advocate of The Simple Way, a new monastic community concerned about the poor, will deliver the Clifton L. Snidow Lecture on Christian Life & Work at 7 p.m. Monday, Nov. 15 in Snidow Chapel. The lecture, titled “Another Way of Doing Life,” is also sponsored by the Fine Arts and Lecture Series and the Year of Sustainability. Claiborne will also speak at noon Nov. 15 at Senior Symposium in Memorial Ballroom. Both lectures are free and open to the public; however, space is limited at Senior Symposium. In his lectures, Claiborne unveils the tragic messes we’ve made of our world and the tangible hope that another world is possible. He writes and travels extensively speaking about peacemaking, social justice, and Jesus. He is featured in the DVD series “Another World Is Possible” and is the author of the several books including The Irresistible Revolution, Jesus for President, and Becoming the Answer to Our Prayers. Claiborne graduated from Eastern University, and did graduate work at Princeton Seminary. His ministry experience is varied, from a 10-week stint working alongside Mother Teresa in Calcutta, to a year spent serving a wealthy mega-congregation at Willow Creek Community Church outside Chicago. Claiborne spent three weeks in Baghdad with the Iraq Peace Team. Claiborne’s work has been featured in everything from Fox News and The Wall Street Journal to CNN and National Public Radio.